Tourism infrastructure in the Lake Geneva region is very well developed with excellent hotels and restaurants, numerous festivals and events, and endless sightseeing opportunities. Lake Geneva (Lac Léman) has been a popular tourist destination for well over two hundred years. Tourism infrastructure around the lake is excellent with a wide variety of hotels and restaurants, many activities, numerous cultural events and festivals, and many opportunities for sightseeing and entertainment. Switzerland is famous for its well-managed hotels and the hotels in the Lake Geneva region are no exception. Lac Léman hotels range from the exclusive and very pricy luxury hotels – particularly in Geneva, Montreux, and Évian – to basic rooms above the pub. International chain hotels may be boring but are easy to reserve and are more likely to drop prices when demand is low. Hotel prices rise dramatically during events such as the Montreux Jazz Festival, the Geneva Auto Salon, and the endless international conferences scheduled throughout the year in Genève. Hotel prices are often much lower in neighboring France than in Geneva itself during major events. A wide variety of restaurants are available in the Lake Geneva region ranging from Michelin-star establishments to more leisurely street cafés and fast food outlets. Restaurant prices are relatively high but the quality of cooking are generally very good too. Geneva and Lausanne offer the largest variety and number of restaurants but some of the best restaurants are in the countryside. Budget travelers should check menu prices outside before wandering in. Cafés and tea rooms (coffee shops) serve small meals throughout the day but many restaurants have food available only between around noon and 2 pm and again from around 7 pm to 10 pm. The rest of the day only drinks and cakes are served. Many annual events are held in the Lake Geneva region. The Montreux Jazz Festival is internationally famous while the Geneva summer festival also draws visitors from all over the world. The Genève Auto Salon is one of the world’s most important car shows and attended by thousands of visitors. Smaller festivals are held in many towns in the region. Harvest festivals and wine tastings are very popular in smaller towns in the late summer, early autumn season. The free tulip festival in Morges is a colorful welcome each spring. The l’Escalade is a unique Geneva-only festival celebrated with exuberance each December. The Christmas market in Montreux is by far the best in the region with most of the others fairly disappointing. On Lake Geneva, several regattas are held throughout the summer. The Bol d’Or from Geneva to Montreux-Villeneuve and back is the largest and most famous. Once a year, in May, all historic paddle steamers come together for a Naval Parade. Many cultural events are staged throughout the region with major concert halls in Geneva, Lausanne, Montreux, and Évian. The Paléo staged annually in Nyon are amongst the largest popular music festivals in Switzerland. 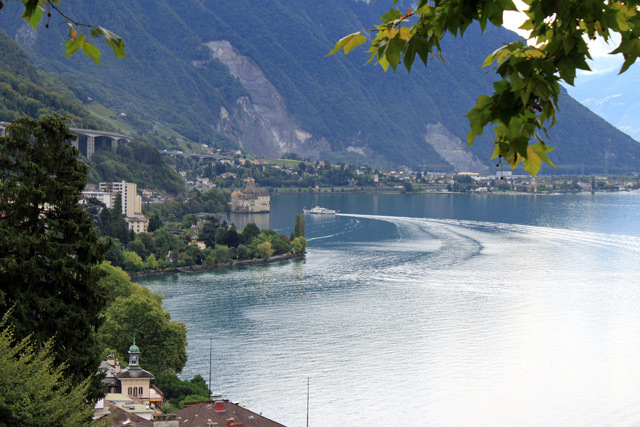 The Lake Geneva region offers a variety of sightseeing opportunities. Geneva and Lausanne have interesting old-town centers with important cathedrals, impressive historic and modern buildings, as well as unique museums. Many smaller towns are more picturesque with beautiful views and interesting local museums. Many have castles on the lake shore with the Chateau de Chillon on a small island near Montreux the most popular castle in all of Switzerland. The Swiss Museum Pass is a great savings deal that gives unlimited access to around 450 museums, galleries, and castles in Switzerland.